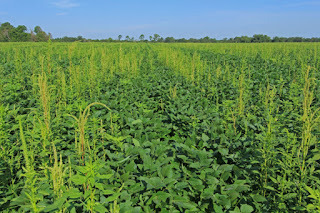 Palmer amaranth is not native to the northern US, but has spread northward from southern states, being confirmed in Wisconsin, Iowa, Illinois and Nebraska (2011–2013), South Dakota (2014) and other northern states. In 2016, it was discovered in newly-seeded CRP land in Iowa, including Clayton County, just one county away from southeastern Minnesota. 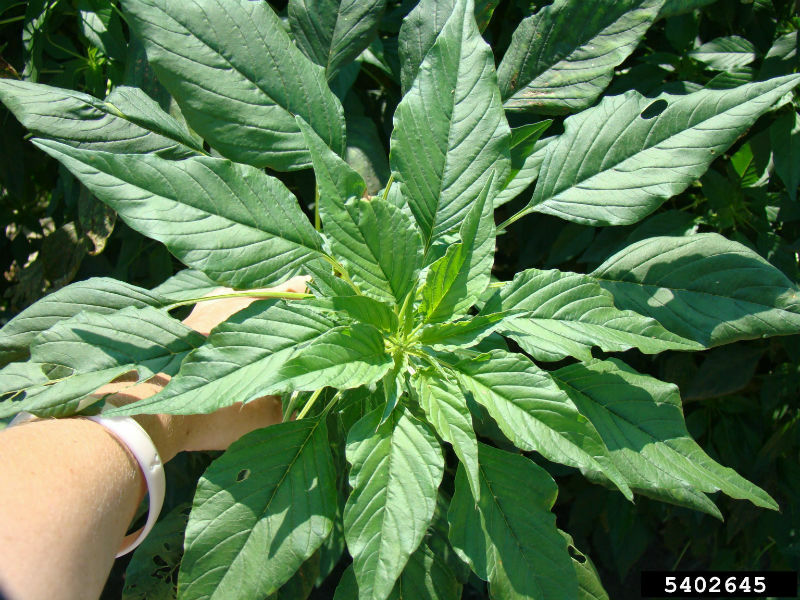 Palmer amaranth is the most competitive and aggressive pigweed species. 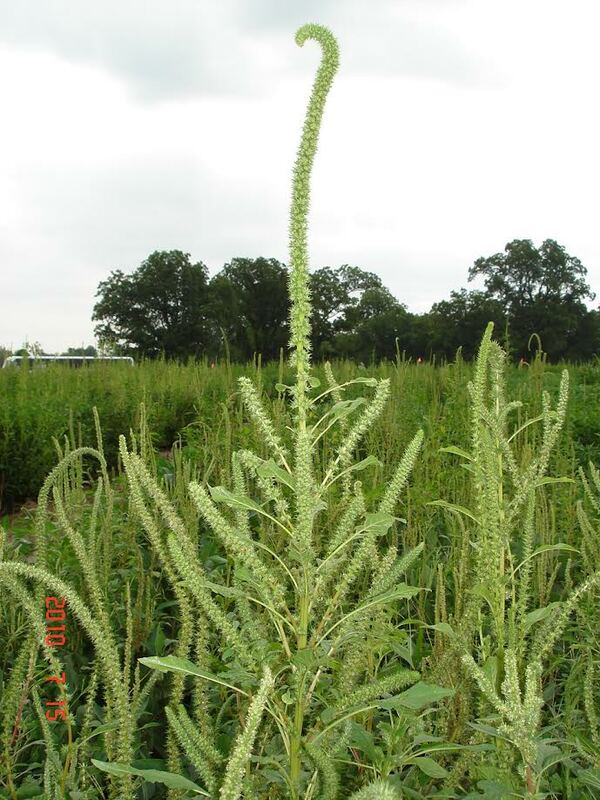 It is related to waterhemp and like waterhemp, emerges throughout the growing season, from May to August. However, Palmer amaranth is much more aggressive than waterhemp, growing 2 to 3 inches a day. Palmer amaranth has demonstrated the ability to quickly adapt to herbicide management tactics lacking in diversification of effective sites of action, ultimately limiting control options. 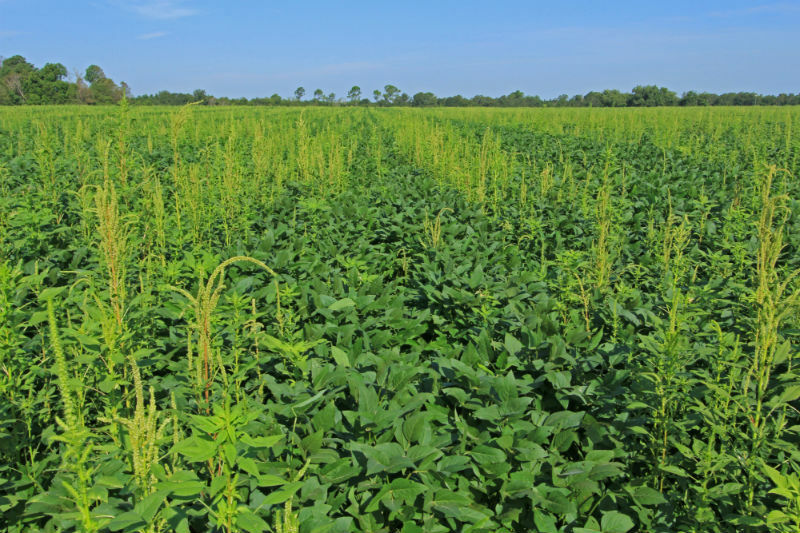 Palmer amaranth found in the the northern states is expected to be resistant to multiple herbicides, including glyphosate (Site of Action or SOA group 9) and ALS inhibitors (SOA group 2). 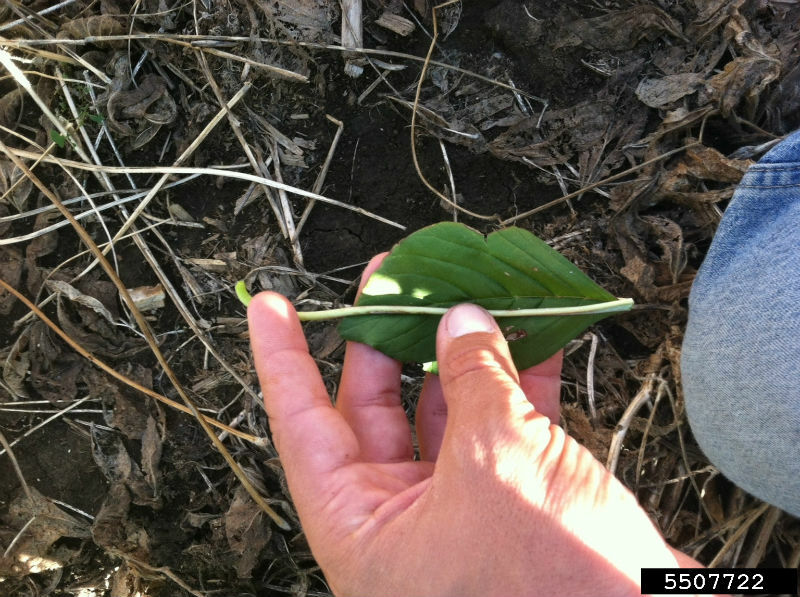 Palmer is dioecious, with male and female plants; outcrossing results in rapid spread of herbicide resistance. It is a prolific seed producer, with a single female plant typically producing 100,000 to 500,000 seeds. Palmer amaranth infestations have caused substantial yield losses and greatly increased weed management costs in cotton, soybeans and corn in the southern states. Once established in the northern corn and soybean states, it will likely do the same and significantly increase costs and decrease yields. Palmer amaranth has spread from the south through contaminated feed, including cottonseed and hay, contaminated grain and seed, and farm equipment and manure. In Iowa and Indiana, the most recent infestations were in newly-seeded conservation plantings (CRP/wildlife/pollinator/and cover crop plantings) where the seed mix was contaminated. Ohio and Illinois also reported contaminated conservation seed mixes as a source of Palmer amaranth introduction. 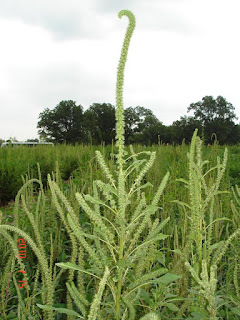 Palmer amaranth may not persist in areas being established for conservation habitat since the Palmer amaranth should be crowded out once native, perennial vegetation is established. The concern, however, is that until the perennial plants become established, Palmer amaranth may produce enough seed to establish a seedbank in those fields and move into neighboring corn and soybean fields. For more detailed identification information, see Palmer amaranth biology, identification, and management (Purdue), Palmer amaranth: A new threat (Iowa State University), and Stopping the spread of Palmer amaranth, a video from Bob Hartzler at Iowa State University. Early identification is the key to preventing Palmer amaranth from getting established in Minnesota. If plants are found, they should be removed and destroyed. Above all, they should not be allowed to go to seed. Note that Palmer amaranth is on the Minnesota Noxious weed list as an "Eradicate" weed. According to Minnesota statues, landowners must attempt to eradicate any Palmer amaranth found by destroying all the above and below ground parts of the plants. For more details, refer to: http://www.mda.state.mn.us/plants/pestmanagement/weedcontrol/noxiouslist.aspx. The Minnesota Department of Agriculture also requests the reporting of any weeds found on the Eradicate list (call 888-545-6684). Full labeled rates of residual herbicides with multiple SOAs are a must in corn and soybeans. If a field does become infested, it should be rotated to a crop where management options are more diverse (alfalfa, small grains, or even corn). Early postemergence herbicide applications (Palmer less than 3 inches) are critical in managing this weed. Remember, Palmer can grow 2 to 3 inches in a day, so it can quickly exceed heights where herbicides provide acceptable control.